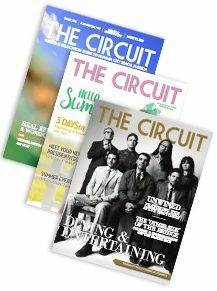 The Circuit is the Chamber’s award-winning magazine. 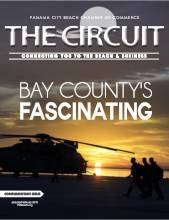 Its high-quality layout and diverse, current topics prove its credibility in the Bay County business community. Each issue features Business Spotlights, community and committee updates, the latest news from our military installations, See & Be Seen, featured industry updates, health & fitness news, and more. Features and themes vary bi-monthly, adding perspective from different industries in the communities. All this and more can be found in The Circuit archives below. Email [email protected] for advertising opportunities!